Today is a very special day. While Thanksgiving and 4th of July are my favorite holidays in terms of celebration, Easter and Memorial Day are the most hallowed holidays because of the significance and sacrifice they represent. And so today I pledge to make this more than just a day off of work. More than a three day weekend. More than being on the lake. More than store sales and shopping. More than hot dogs and ice cream. More than picnics with the family. More than a Facebook status. 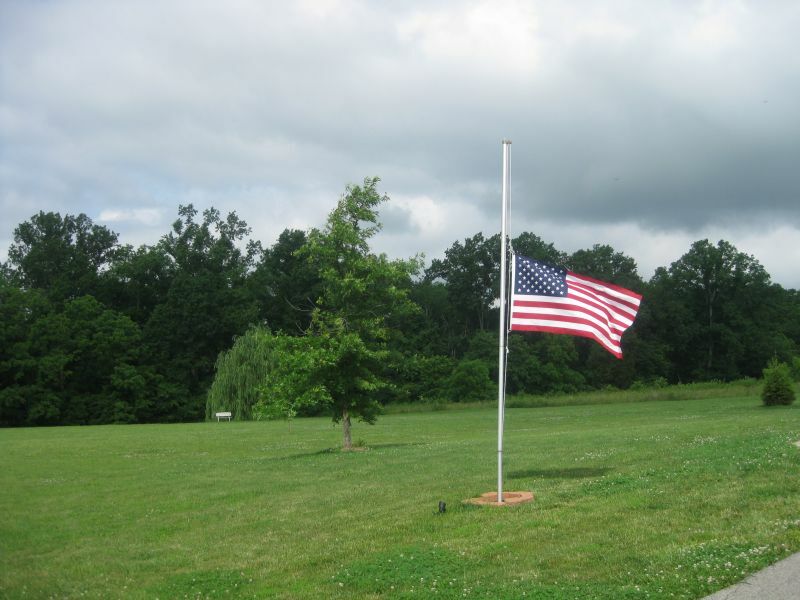 More than just flying my flag at half staff. And so I took the family to a local Memorial Day flag ceremony. There were several in our local area and we decided to go to the one at the Patriots Peace Memorial which began at noon. There was a decent gathering of people to show support. Veterans in uniform were present to preside and participate in the ceremony. I felt very good about the people there and that my family was there as an act of public support as well as for my kids to see how important it is to give back to your country and community. I pushed both K and D out of their shells and encouraged them each to go up to any two uniformed personnel and to shake their hand and say thank you. The ceremony was respectful, honorable, ritualistic and heartfelt. During the ceremony, two additional names were enshrined into the memorial — Private Adrien Augustin and Petty Officer 2nd Class Monica Beacham. Both died while serving our country in uniform and their loved ones were presented the glass bricks which bear their names to be placed into the memorial. The bagpipes played “Amazing Grace” as they all walked into the memorial. Finally, “Taps” was bugled out to end the ceremony. 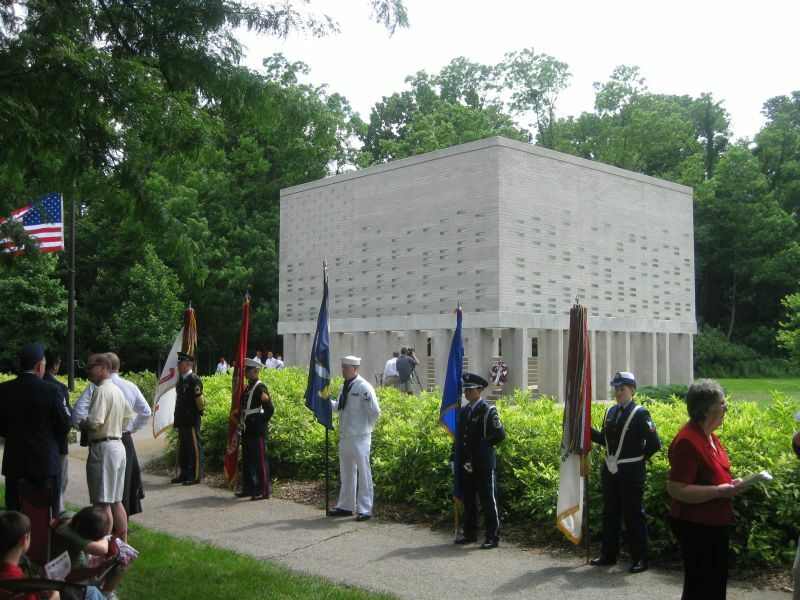 This was the first time I had ever taken the time out of my Memorial Day to actually visit a ceremony (I am ashamed to say it). It will now be a part of my honoring ritual every year to show respect for those living and dead who have sacrificed in serving our great country. I would encourage every one of you to put down the hot dog and put aside the shopping trips to go out of your way and find a local ceremony to attend. It means much to those uniformed servicefolk who selflessly serve day in and day out to protect our country and way of life. Thank you to all those in uniform who have sacrificed and died while serving this land! It has been my tradition that, in addition to flying the American flag on the flag pole in front of the house, I also hang flags from each of the telephone poles that parallel the driveway. I put them up on Memorial Day weekend and take them down on Labor day weekend. With this being Memorial Day weekend, putting up the flags was one of the tasks on my long weekend “to do” list. As I attached the cleats to each of the poles and respectfully hung our nation’s beautiful banner of freedom, I contemplated many things. But the one that stood out and prompted this essay was “freedom”. But it wasn’t the normal type of freedom that we normally attribute to America. It’s not the “do what I want” freedom or the freedom associated with choice and libery. I believe it is a different kind of freedom — a forgotten freedom that we often overlook. It is the freedom to fail. The freedom of bad choices. The freedom to fall flat on your face. All of these freedoms and others associated with the flip side of the freedom coin are just as important as the ones we enjoy and hold dear. However, like the esteemed freedoms like life, liberty and the pursuit of happiness, these other freedoms are being infringed upon by our government and society. We eschew accountability and responsibility like they were embarrassing clothing or music fads, not the time honored virtues taught by our parents, our churches, our Scouts or our schools. We have replaced them with excuses, finger pointing, blaming and scapegoating. And consequently we have tried to manipulate the results when we don’t like them. Whether it is bailing out a car company, a bank, Wall Street or an entire state, we placate those who have the most power or money or those who make the most noise or those who are looking after themselves. Thoughts have shifted from “what is the right thing to do” to “what is the most I can get for myself”. We have completely ignored the laws of the economy and the balance of society. And rarely do those actions “fix” the problem. They usually just “kick the can down the road” or at least beyond the next election cycle. I guess what we have now is the freedom to make things worse. Long live the freedom to fail! I came across two questions today that were very thought provoking. 1. Are you on the path to heaven? 2. Are you enjoying the journey? Personally, I can answer a confident “YES” to each. I pray the same for you. 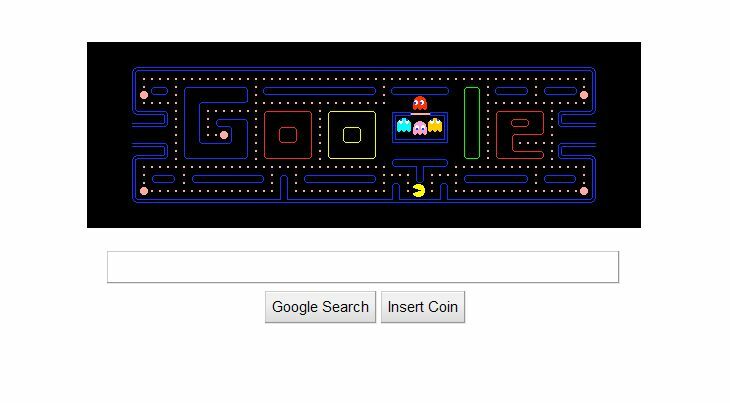 Last Friday I posted about the 30th anniversary of PacMan being celebrated by Google on their homepage. And I also wrote that I was hubbing through Dallas-Ft. Worth airport on my way home and was playing the game courtesy of their free internet connection. I spent a while doing that and it killed a good chunk of my layover. It seems that Google’s homage to PacMan didn’t just kill a good chunk of my time — it killed a good chunk of lots of people’s time — to the tune of $120 million. See the article here. We joked last week when Google changed its logo to a playable game of Pac-Man that the world’s collective productivity would take a sharp plunge, but it turns out that’s exactly what happened. The blog for time management tool RescueTime did the math and determined that Google Pac-Man consumed 4,819,352 hours of time, or $120,483,800 in productivity. The cost was determined by looking at how much time was spent on Google’s (Google) homepage the day the Pac-Man logo was up (48 seconds) versus the average amount of time spent on other days (11 seconds) and multiplied by the number of visitors to the site that day (503,703,000). The cost seems like a bit of a stretch, though. RescueTime assumed that the average Google user makes $25 per hour; that’s considerably higher than median income in Internet (Internet)-connected nations. Also, you probably can’t assume that everyone who visited the site Friday was on the clock at work. If you haven’t wasted time at work playing Google Pac-Man already, you still have a chance to add to that lost productivity tally. Google has preserved the Pac-Man game logo at www.google.com/pacman (you can also download the game) even though the front page has returned to normal. For those of you who missed it, you can find it at www.google.com/pacman. 12 years ago today I was driving my very pregnant wife for a scheduled delivery of my little girl. It was a fairly easy delivery thanks to modern medicine. I was blessed to be one of the very first ones to see her little head and then hold her when she came into the world. My wife harasses me to this day of the fact that I abandoned her and stayed right by the side of my little girl for 8 hours until I had her image burned in my brain. At that point I didn’t need the identification bracelet on my wrist or her ankle — I could have pointed her out of a million babies. K – thank you for the young lady you are becoming. I love you! I am traveling again and spending some time going over some notes from the Chick-Fil-A Leadercast that I attended earlier this month (where I hinted about it on this post). The quote below came from a pre-recorded interview with Tony Dungy. And while he is a great coach who has accomplished much, I like him even more after seeing this interview because he has nailed the balance, humility and service of what life is supposed to be. Also, go check out his resourceful website — www.allprodad.com. I have been in San Francisco on business travel all week. I am currently sitting at my favorite hub airport – DFW – at a free internet terminal catching up. While perusing my Facebook page, a friend posted that Google is celebrating the 30th anniversary of PacMan with a nod to the iconic video game on its home page. And what’s even cooler, it is a fully functioning PacMan game. Now while most of y’all know I am not a Google fan due to what I perceive as severe privacy concerns, I would encourage you to go check it out a play a game or two. See if you can beat my high score of 17801. One of my Facebook friends posted this image and I thought I would steal it as material while I travel. There are some great reminders on this list. 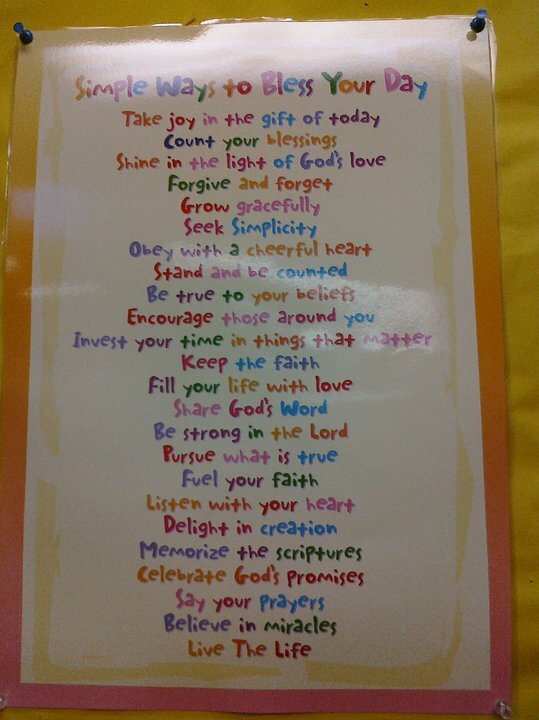 The only other item I would add is Love like Jesus!